The alliance between Saudi Arabia and the United States seems intended to contain the Iranian regime, and not, as falsely advertised by President Barack Obama, to prevent a nuclear program. Leaders of Western Europe know exactly what the mullahs' regime is, and what its goals and activities are. They know it is the world's main sponsor of Islamic terrorism. They know the disastrous state of Iran's society and economy, but they prefer to play deaf and dumb. All they think about, it seems, are the contracts they sign with the mullahs to get more money. They do not care about the suffering of Iranians; the chaos, massacres and destruction caused by the regime. They know that the nuclear deal is constantly violated by the self-policing regime, and that a nuclear bomb is in the making. They are aware that the regime has close ties with North Korea, and that both are global threats. The EU's chief diplomat, Federica Mogherini, has hypocritically called "all parties concerned to abstain from violence", as if there were a moral equivalence between unarmed protesters and killer militias with weapons of war. 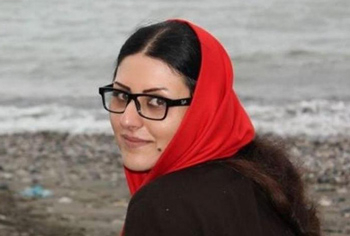 Meanwhile, in Iranian prisons, protesters were being arrested and tortured to death. Leaders of Western Europe like to boast how they respect human rights, yet they are the ones trampling on them. It is hard to know exactly the current situation in Iran, but the uprising seems to be fading . The mullahs' regime might survive a little longer. The overthrow of a totalitarian regime takes place when the security forces -- which ensure the survival of a regime that has been ruling through repression and fear -- begin to falter, or else when the number of angry people becomes so big that a tidal wave sweeps away all in its path. more, torturing and murdering some of them, and cutting off access to digital networks. It is a defeat not only for the Iranian people, but for all who defend freedom. The defeat, however, is temporary. What happened now was different from what happened eight years ago. The 2009 protests took place mostly in Tehran and opposed a rigged election. No one questioned the system. This time, the protests spread throughout the country and opposed the entire system. Slogans referred to Ali Khamenei and Hassan Rouhani as dictators. Some protesters spoke favorably of Reza Shah, the founder of the dynasty overthrown in 1979. The protests also overflowed with fury that the regime had supported terrorist organizations such as Hezbollah and Hamas. The $100 billion in assets unfrozen by the July 2015 nuclear deal were expected to be used to improve the well-being of Iranian citizen. That did not happen. The regime can only calm the pervasive anger if it changes its policies radically. That is the one thing it cannot do. The mullahs' reign, born from an Islamic revolution, derives its "legitimacy" from that and the promise of carrying it further. The regime cannot stop supporting terrorism without ceasing to be itself. Iran's "Supreme Guide," Ali Khamenei, constantly speaks of "apocalypse" and "holy war against America and the West." He speaks about the urgent need to destroy Israel and "liberate" Jerusalem. He cannot give a different speech without undermining himself and being called an impostor by those who still support him. President Hassan Rouhani has no real power; he is just there to provide a "moderate" façade for people who still want to fantasize that a moderate actually exists in a regime that is fanatic. Even if the mullahs decided to give a few crumbs to the population, politically they cannot do it. Iran's economy is in terrible shape. Much of the infrastructure is worn out. Water resources, badly managed, are vanishing. The banking system has disintegrated: in 2017 alone, five banks and investment funds collapsed; in coming months, others will, too. Pension funds are bankrupt: hundreds of thousands of old people have lost everything they owned. Millions of young Iranians, highly qualified, cannot find jobs; they are unemployed and frustrated. Drugs and prostitution are widespread. Venereal diseases proliferate. The birth rate is in free fall, condemning the society to aging rapidly. The vast sums of cash made available in 2015 by US President Barack Obama have already been wasted or spent. They have sunk into the circuits of corruption and bank accounts of terrorist organizations that the regime supports. They have also been invested in deadly acts in Yemen, Syria and Iraq. No miraculous "savior" exists; even if one did, the regime would quickly eliminate him. Iran is heading for a massive collapse. The regime's leaders know it. The Islamic Revolutionary Guard Corps (IRGC) is more than ever the regime's Praetorian guard and ready to defend it to the end. The IRGC would not hesitate to massacre just about everyone. This year, more than twenty people were killed; if things get worse, if the regime feels threatened, the number will be far higher. The regime has not stopped its race for nuclear might. It has already given the terrorist groups it controls sophisticated weapons that many armies do not own. Hezbollah has at least 150,000 long-range missiles and rockets; it is, according to estimates, the world's "best-equipped non-state fighting force." If the regime feels near its end, it will fight. Europeans, nonetheless, are trying to avoid a confrontation. Western governments could limit the damage by telling the Iranian people that they are not alone and pressuring the regime. Unlike the Obama administration, US President Donald J. Trump seems to have been going his better instincts and allowing his timid State Department the benefit of a doubt. The alliance between Saudi Arabia, Egypt, the Gulf monarchies, Israel and the United States seems intended to contain the regime, and not, as falsely advertised by former US President Barack Obama, to prevent a nuclear program. Revising the nuclear deal with Iran opens the door to sanctions against the regime, but enables the mullahs to buy more time in which to complete their nuclear program. President Trump's speech to the United Nations last fall denounced the danger of the regime while reaching out to Iranians. During recent protests, President Trump said, "the world is watching" and "that the good people of Iran want change". Nikki Haley, America's ambassador to the United Nations, said that "a long-oppressed people is rising up against their dictators," and that "all freedom loving people must stand with their cause." Israeli Prime Minister Benjamin Netanyahu, also sees the regime as the main threat to his country, the region and the planet. Leaders of Western Europe are following a very different line. They know exactly what the mullahs' regime is, and what its goals and activities are. They know that the regime has been, and is, the world's main sponsor of Islamic terrorism. They know the disastrous state of Iran's society and economy, but they prefer to play deaf and dumb. All they think about, it seems, are the contracts they sign with the mullahs to get more money. They do not care about the suffering of Iranians; the chaos, massacres and destruction caused by the regime. They know that the nuclear deal is constantly violated by the self-policing regime, and that a nuclear bomb is in the making. They are aware that the regime has close ties with North Korea, and that both are global threats. Yet, they choose appeasement at its venal worst. During the uprising, they were on the side of the oppressors. The Europeans were just waiting for the mullahs to prevail, so they could resume doing business as if nothing had taken place. French President Emmanuel Macron says he is planning an official visit to Tehran. He did not have a single word of support for the people of Iran or for the victims of the terrorist groups armed and financed by the regime. He criticized neither Khamenei nor Rouhani; he focused all negative remarks instead on the Trump administration and Israel. He said that by placing themselves on the side of freedom for the Iranians, they were "creating a risk of war." German Foreign Minister Sigmar Gabriel called for "calm" in Iran and asked the United States to "re-engage" with the men whom the protesters called dictators. EU's chief diplomat, Federica Mogherini, has hypocritically called "all parties concerned to abstain from violence", as if there were a moral equivalence between unarmed protesters and killer militias with weapons of war. Gabriel and Mogherini decided to invite to Brussels Iran's Foreign Minister Javad Zarif. He came and met them, along with French and British Foreign Ministers, on January 11. Zarif said that the meeting showed a "strong consensus" between all those present. Meanwhile, in Iranian prisons, protesters were being arrested and tortured to death and their families intimidated. Leaders of Western Europe like to boast how they respect human rights, yet they are the ones trampling on them. The minute they think their interests might be at stake, they are the first to practice pre-emptive surrender and fraternize with the men shooting into the crowd if they think there is something to gain from it. This is not the first time that they reacted like this; it is exactly what they did when Hitler showed up. Now, since Trump announced that Jerusalem is the capital of Israel, they call to create a "Palestinian State" as quickly as possible, meanwhile knowing full well that this "Palestinian State" would be filled with terrorists. Their continuing support for the murderers of Jews is not acceptable. Nearly eight decades ago, British Prime Minister Neville Chamberlain and French Prime Minister Edouard Daladier went to Munich and came back with an agreement they professed would bring "peace in our time". Winston Churchill famously warned at the time: "You were given the choice between war and dishonor. You chose dishonor and you will have war. " Leaders of Western Europe have again chosen dishonor. They are betraying the values they claim to embody -- and again increasing the chances of war. I sympathize with the people in Iran who want liberty in the midst of the SHIITE prison called Iran. However, SHIITE Islam is a minor threat to American freedom. Sunni Islam is the greatest threat to the US via demographic jihad. The Europeans are de facto Islamists. They see Islam as a source for civility and governance. They prefer prosecuting critics of Islam like Geert Wilders or Tommy Robinson over defending freedom, of all things. Freedom is odious to Euro Sunni Islamists and certainly does not exist in SHIITE Islam either. The moment Trump said he would cut the UNWRA budget, little divided Belgium, the country that needs 4 governments to function, said it will pay $25 million because of the 'fantastic job' UNWRA is doing stopping youngsters from becoming extremists. Hypocrisy & anti Semitism..... 2 important export items from the EU. I am a stamp collector. The "Palestinian" State does not even have a postal system. Iran has stamps. I also collect coins with a smattering of paper currencies. I have bills from Iraq with the murderer's image pasted on the obverse. Hussain? Sure would like to see some "Palestinian" money. They did it in Yugoslavia during the German invasion. And they bark about how they occupy Gaza? Well, why occupy it if you do not issue currency? How about a written Constitution? How about a State Water Works? How about a Power Company? In a Socialist State the Government is responsible. Or not as we can see. Where did the money that Iran received from the United States go? It surely did not go to the Palestinians. Hizballah is not the people of "Palestine." It is a clandestine organization of criminals. Just as the Sicilians who guarded the US coastline during a "real" war. What's up with these national States. Weird. The governments of the "free" western world no longer possess the morals that come with such positions. Financial greed, power and political interests have turned them all into evil people whose eyes turn away from their own people for a better gain elsewhere. Obama divided America as Trudeau is doing in Canada. The EU has devastated the people's communities with mass immigration of young Muslim men and threaten the V4 countries if they refuse this change into their Christian countries. War has been reigned down on countries in the Middle East and Africa "in my name", by lying to me of the need for such mass murder. Bush, Blair, Obama, Clinton etc, warlords in sheep's clothing destroying millions of people, their homes, their countries infrastructure. No one gained but those that instigated the terror. Euros figure if they appease the monster, then the monster will leave them alone. Their past appeasements are forgotten - time to re-learn "history", presumably. Euros are conscious Islamists. You underestimate the depravity of the progressive mind. Europe has become the choice prostitute for the Muslim world, especially Iran. Why does this stupid woman, a "diplomat" of the E.U., appear with a scarf draped round her head. Does she want to be a Muslim? Does she think that appearing dressed in this way will make her hosts think she is a nice person? Does she not realise that they utterly despise her and her pathetic attempts to curry favour with them? Dr. Guy Millière is a strong voice of truth coming out of Europe. A shining light. Rare for Europe today. He speaks incisive truth and backs it up with essential facts. That is very rare for America as well. Such revelations are rare, very rare. We are inundated and swamped with lies, deceptions, and omissions everyday in both Europe and America. The American press has gone crazy irrational and stupid with its Marxist, lying attacks on Trump, his administration, and anything good. In other words, it has turned evil, and seeks only to destroy. It's a Marxist, socialist ("progressivist"), communist (and Islamic)siege. That appears to be largely true of the press in Europe as well. Millière gives a bold and truthful analysis of the rulers of Western Europe as well--weak, spineless, no longer able to stand up and recognize the truth. The forces of evil in America have also abandoned truth. They rant and rave, calling out degrading and filthy names, shouting only irrationalities and deceptions. But Milliere tells the truth that they cannot seem to grasp. Milliere's article is a strong indictment of European leaders. What is wrong with them? Why are they not able to recognize and support truth? Centuries ago European leaders did know what truth is. Today they live in a dark cave, lined with money and material goods. How long can that last? I fear that Europe is even closer to ruin than America. Both are infected with the disease of untruth. Gatestone is doing a great service to the Western World with such articles as these, Millière is exceptionally insightful. So is Giulio Meotti. Soeren Kern observes and sees the terrible things that are going on. There are a number of others who see the big picture and tell the truth. If only the millions would grasp them and begin to stand firm for them. This particular article brings into play some of the most obvious bad actors in this Iranian drama. What has always been most appalling to me is the way that the Iranian oil revenues have been spent. If there was ever a resource that belongs to the Iranian people and NOT JUST the mullahs, it is the fossil fuels...made up of the "fossils" of the Iranian people and their natural world. If there is legitimacy in the Iranian peoples right to overturn this or ANY regime, it is found within this issue. There are myriads of reasons that we would all agree upon, besides this one, but then those are so politically obfuscated and often too complicated for the average Iranian to grapple with. I think Macron only serves his France which he declares has "no culture", only a mix of immigrant influences, so let us just intellectually hang him by his toes until he falls!!! Our deal, which is not a deal but very much similar to those kinds of "pacts" most of Europe made with Hitler during the pre-war period, has always been suspect. When we find the Iranian brand name, such as "KRUPP WERKS" stamped on a North Korean ICBM or missile launched to hit us, maybe THEN we will find it time to go to war! We usually wait for the definitive ACT....Pearl Harbor, par example, before we commit to holding "these truths to be self evident"! "Nearly eight decades ago, British Prime Minister Neville Chamberlain and French Prime Minister Edouard Daladier went to Munich and came back with an agreement they professed would bring "peace in our time". Winston Churchill famously warned at the time: "You were given the choice between war and dishonor. You chose dishonor and you will have war. " This sumps it up - Mogherini may very well be Chamberlain of the 2010's. Who is to be the Churchill of our times? The choice of dishonor is clearly present here. What will be the war resulting from it? Yeah - history does not repeat itself, at least not "literally". But the current times are rife with parallels from 1930's. Are we going to heed these warning signs? Why am I not surprised at the appeasement of Western EUROPEAN leaders including the UK? This is a downright shame that this is the route that is always taken by cowardly Leftist Lunatic Liberals everywhere. How can Trump act alone in this situation? How can he betray his own core by meddling in the affairs of other countries? Is he supposed to unleash the CIA and other measures to effect regime change? How is he going to do the right thing by supporting the protesters yet not get involved physically? Do I even see him publicly castigating the appeasers in Europe, to what end? It is a very fluid situation and I hope the USA gets it right, because no one else can. Is it clever of you to ignore or are you not aware of destabilizing efforts of Iran, Egypt, Saudi Arabia, and their 'religious'allies within the boundaries of the United States? Let's just begin with 22 Islamic enclaves. That might be okay with a reciprocity between the terrorists and the U.S.. Islamic investments in the Americas can be attributed to various funds given to Middle East countries. One reason to fully defund Pakistan. Throw in Palestine that whines because of the embassy designation mixed with fears of losing its food subsidies. How would it be in the Saudis and Iran became responsible for the Palestinian aid short fall. After all, they do have the imposter allah in common. Why should hated Christians from the U.S. related to Christians in Syria, Iraq and Egypt be expected to bail them out? Last fall we learned OPEC is attempting to woo the U.S. petroleum industry into joining them by arguing both producers could realize higher profits, for obvious reasons (its called manipulation of supply and demand) and that the Saudis could take better care of its "little welfare states" which happens to include several South and Central American states (great bribing missionary effort=free mosques, self serving propagandist Imams etc.. Prince Salman sold the American press a bill of goods by politely retiring a dozen wealthy relatives only to use the savings to supply he and Iran's stateside investments in the enclaves. Lets get rid of the enclaves AND CAIR while we are at it. The latter is terrorist and even the FBI cannot deal with them. The people of Persia didn't consult anyone when they installed their barbarous theocracy in 1979. All the times since then when they've mustered out in the millions to shout death to America, more of the same. Before they stormed our embassy---did Stalin or Mao-Tse-Tung ever do such a thing?---they threw in with the Nazis and then the Communists. All told it looks like about a lifetime, and a long one at that, of telling the West it's not welcome. This reader is heavily inclined to let them find their own Reformation and Renaissance and Industrial Revolution all the by themselves. We worked hard enough for a millennium making these things happen on our own continent while under attack from their barbarous theocracies. If and when they depose the theocrats we can talk. Meanwhile they talk a lot about emulating the 7th century AD, let's see how they like living in it. 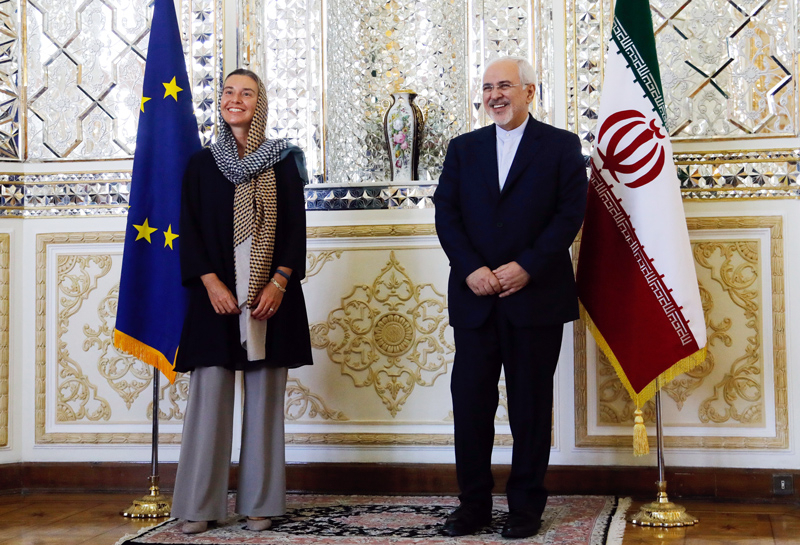 Federica Mogherini, regardless of her being a mouthpiece of the EU and being willing to conform to Iran's Islamic dress code, is an attractive woman. I wonder if she's been groped by any of the mullahs. If she was, would she protest? I doubt it. Would she join with the American anti-trump protesters and declaim against sexual misconduct against Iranian mullahs? Very unlikely. Her brain is on Mars, completely scoured of life-affirming values, unlike the countless protesters against the alien Islamic system imposed on the country by Islamic Arabs. Her EU message to those protesters is: "Let them eat cake. Mullahs can feel my bum as long as they like." We should know by now, after two world wars, that Europeans simply cannot be trusted. They constantly opt to do the exact wrong thing when it comes to nipping serious conflicts in the bud. Their dealings with the crazed ayatollahs in Iran in just the wrong way should be expected, except, this time, the U.S. should guarantee that we won't come to their aid once the deals with Iranian's go sour and begin threatening European's skins. Let's sit back and toss an occasional neutron bomb into the fray and enjoy watching the downfall of both as they jockey for survival. European leaders are Islamists. Sunni Islamists. The fact that they are Sunnis does not supercede their love of Islam in general. Only Sunni Islam is capable of uniting Europe to form a Eurasian super state. Only Sunni Islam is capable of absorbing and integrating PROGRESSIVISM. Interesting article. Disgust with the responses of the western leaders. "They know the disastrous state of Iran's society and economy, but they prefer to play deaf and dumb". It is easy for them to play deaf and dumb - this comes naturally. Unfortunately, at this quite critical time, we suffer from a dearth of talent in western political leadership. To my memory, never has Europe, Britain been headed (I won't say 'led') by such career politicians with so little merit, charisma, leadership skills and morals. It's worth adding that most western leaders are child-less, some unmarried etc. indicating they have no portion in the future - so why bother for the masses. They feel no great responsibility for their countries as they're globalists - everyone abroad is as important, if not more so than their constituents. [hence the drive to import millions of Muslims when there's millions unemployed (50% youth unemployment in southern Europe)locally] Therefore to expect them to feel for and do anything substantive for the citizens in Persia is futile. Guy Milliére missed an important aspect of the situation. Iran repeatedly described the Jewish state of Israel as a "One bomb state." Similarly "The Palestinians" have declared repeatedly and have some sort of national anthem "From the river to the sea." They too have a great love for the Jews. After destroying the Jewish state of Israel they want an Islamic state to replace it and all the Jews thrown into the sea. In the mean time suicide bombers, knifing, car ramming of Jews will do. Not only are the two aiming for a genocide but they proclaiming at a drop of a hat day in day out. It is time to end this effort of genocide by sanctions on Iran and cleansing out of the PA as it was done to the Jews from the Atlantic all the way to Persia now Iran. The genocide cancer extirpated from the land of Israel. The main sponsor of terrorism is not Iran, that title belongs to Saudi Arabia. Thank you. You're correct. Sunni Islam is BY FAR the greatest threat to American liberty due to demographic and political jihad.